When faced with mold, often times, Harrison Township home or business owners can easily get wrapped up in the stress and hysteria. If you have discovered a potential mold contamination in your property, consider calling a professional who is properly trained and certified to determine the full extend of the mold development and provide you with a peace of mind. The MasterTech Team consists of trained and certified mold professionals that will guide you through the entire mold removal process and answer any questions you have. A Harrison Township, NJ mold inspection includes: a visual assessment, moisture mapping, thermal imaging, mold sampling and testing, and a detailed report of findings. 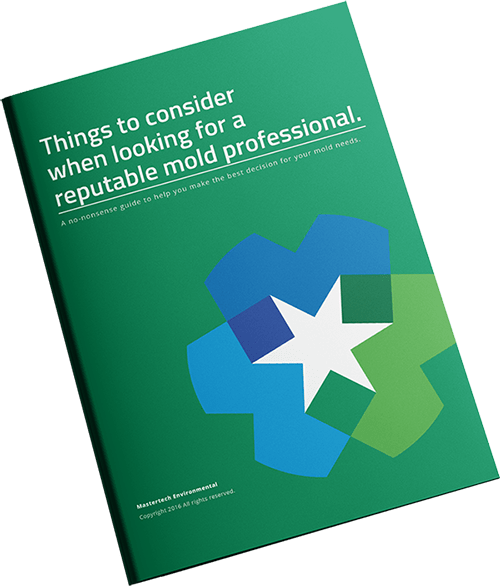 Following the completion of a full mold inspection, Your inspector will be able to provide you with all recommendations for resolving your mold problems. If remediation is necessary, MasterTech will develop a full scope of work appropriate for your specific mold needs. The MasterTech Team has taken time and care to establish a thorough noninvasive mold inspection process. This process allows our inspectors to gather as much information as possible about your specific mold case, while limiting unnecessary damage to your Harrison Township, NJ property. When dealing with mold growth, it is vital to approach with caution, as to reduce risks of cross-contamination and potentially worsening the problem. Digital documentation of our findings. Indoor air quality environmental testing to determine if mold levels are elevated inside your home or business. We use oxidative mold remediation that harnesses oxidizing agents, surfactants and surface cleaners that target bio-contaminates found in our homes, schools and commercial buildings. The oxidative remediation process has been proven to be more effective at removing bio-contaminants than any other remediation method in use today. Not only is the process more effective, it is also environmentally safe. The process does not require the use of powerful pesticides and there are no dangerous residual chemicals or heavy metals remaining after remediation. Because the process is safer and more effective, Mastertech’s professional remediators are able to increase project safety and efficacy. 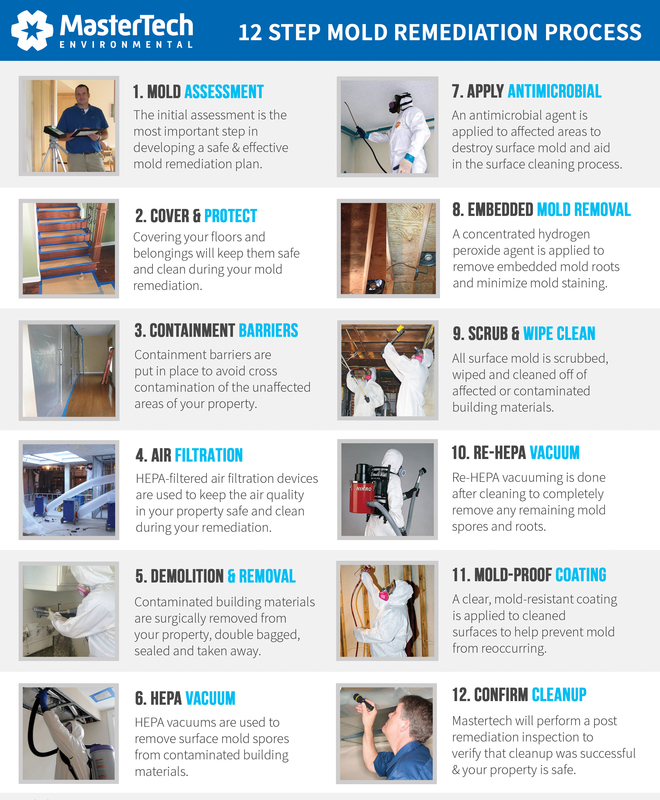 MasterTech has cultivated the most safe, effective, and efficient mold removal and remediation process for your New Jersey home or business. Our Harrison Township, NJ mold remediation integrates the safest and most up-to-date mold removal methods to confidently return you and your family to a clean and safe home. Every MasterTech mold removal in Harrison Township, NJ is backed by a 5 year mold-free warranty. No only is the mold removed, but we have taken precautions to prevent its recurrence. Our priority is that we did the job right for you and your family the first time. Featured on and trusted by HGTV and DIY Networks. If you think you might have a potential mold problem in your New Jersey home, call a a professional mold company to conduct a Gloucester County, NJ mold inspection. For mold inspection and mold removal in Newfield, NJ or for mold inspection and mold remediation in Greenwich, NJ, call 609-948-8844 to speak with a member of the MasterTech Team today! Tony was very professional, and showed great customer service skills during his visit to our home. He shared great informational tips about keeping my home humidity levels low. I recommend Mastertech Environmental to all.